Get this hottie's jewelry all for yourself. What’s that called when you’re freakishly talented at more than one thing? Trifecta? A triple threat? Unfair to the rest of society? Such is the story with Chicago singer Marty Casey, who made a name for himself as the runner up on the reality show Rock Band: INXS. He’s attractive, he can belt out a tune like you wouldn’t believe and he handcrafts jewelry. Ladies, now would be the time to start swooning. 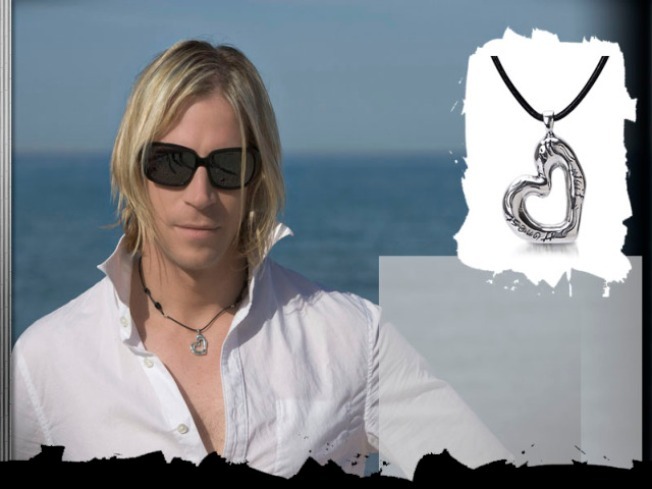 The Marty Casey Silver Elements Collection is a fusion the singer’s passion for music and his creative genius to boot. Each jewelry series is a fashion story to his music. His newest collection, Water / Rock & Passion, is inspired by nature and has an earthy and organic feel. The collection's passion pieces are engraved with powerful messages that can be interpreted in many ways, like “Honest I’ll Wait” (which, of course, ties in to one of Marty’s new songs). The heart necklace is a sculptural sterling silver tilted heart on an 18 inch knotted black leather cord. The waves ring is organically shaped, detailed in a textured hand-engraved "waves" pattern. A little bit organic, a little bit rock ‘n roll. Just the way we like it.